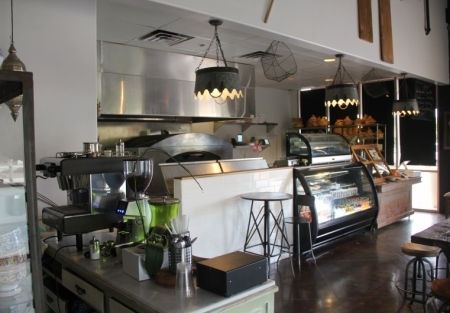 Great opportunity to get into a fully built out pizza restaurant in an upscale neighborhood. Demographics are unbelievable in the surrounding area. If you have a concept looking for customers willing to pay for top quality product this is the place you have been looking for. Minutes from Del Mar, Rancho Santa Fe, Santa Luz and Rancho Penasquitos, areas this is chance to take over a very nice restaurant space for substantially less than it would cost you to build out on your own. It’s turn key and ready to go, avoid the downtime and massive headaches you will encounter if you build from ground up. Current owner has finished the build out but does not have the staffing infrastructure to maximize the potential for this location. Located in a shopping center with easy access, plenty of parking and a large traffic turn convenience store, the opportunity for free advertising is big. Restaurant has a large and very well designed outdoor patio seating area to go along with the nicely decorated interior with plenty of indoor seating as well. Kitchen is ready to go. All equipment is in near new condition including the open kitchen centerpiece Marshal MB 60 Pizza oven. Full seven foot hood system, grill and multi burner stove along with a walk in cooler. Expand the current concept or bring your own this well designed kitchen is ready for you now. Restaurant space is 1500 square feet plus the outside patio area. Current lease term expires in May of 2025 it is locked up for the long term. Base rent is $4,500 per month plus CAM fee’s $900 per month. If you are looking for a very well designed and built out restaurant location in the middle of some of the best demographics in the city you need to go check this place out.